What’s more important than a good roof over your head? Fichtner Services understands that your home is one of your most valuable assets. Aesthetics, durability, and water-tightness are the three most important components of a roof system. Whether you need to repair your roof, or need a roof replacement contractor to replace your roof, our staff will handle every need along the way in the roofing process. We have a highly trained staff including a knowledgeable office team, on site estimators, supervisors, installation crews, and a service department for any follow-up needs. As a full service Maryland roofing contractor, we offer a full selection of roofing materials and different types of roofs. Whether you’re looking for a natural slate roof to complement your historic Annapolis home or a durable GAF shingle roof for your Baltimore home, we have the style and selection you need. 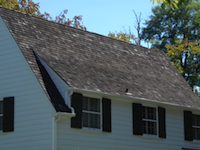 In Maryland, shingle roofing is the most popular choice among homeowners and builders. 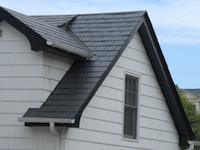 Fichtner Services offers a selection of shingle roofing materials to match any style home. We provide expert installation of shingle roofing including strip shingles, dimensional shingles and designer shingles. Fichtner Services is a GAF Master Elite Roofer, allowing us to extend a lifetime warranty on GAF Roofing services. Wood shingles used to be the most common roofing material in America. Today cedar is still a durable and beautiful material for roofing. Fichtner Services offers expert installation and maintenance of cedar roofing. As a Cedar Shake and Shingle Bureau approved cedar roof installer, we are able to offer the Certi-label manufacturer’s limited lifetime warranty backed by the CSSB, recognized as the cedar industry authority. Metal roofing has gained enormous attention from both homeowners and commercial builders as a result of its beauty, energy efficiency and longevity. Fichtner Services offers metal roofing in a choice of panel profiles and materials for a distinctive look. 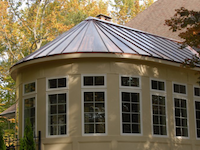 Our metal roofing materials include copper, stainless steel, galvanized painted steel, and aluminum. An Energy Star rated “cool” metal roof may qualify for rebates and incentives. Especially popular in historic Annapolis and Baltimore homes, Fichtner Services has extensive experience working with a range of slate roofing materials. Whether you want the durability and aesthetics of natural slate or prefer eco-friendly materials that capture the same look and style as a natural slate roof, Fichtner Services provides expert installation and maintenance services. Flat roofs are excellent systems that can serve a variety of functions for a home. More than just a covering, a flat roof can be used as an outdoor living space, becoming a deck or patio. Fichtner Services installs three types of flat roofing systems: Duradek, EPDM, and TPO. Our flat roofs are expertly installed and come backed by manufacturer’s warranty of up to 30 years for select materials. In addition to new roof installation, Fichtner Services offers roof repair services. We also offer roof maintenance including general roof inspection, replacing damaged or missing shingles, resealing caulked areas, replacing cracked pipe collars and cleaning gutters. You have a roof leak – should you repair or replace your roof? Our estimators can help you decide which choice is right for you. The key things to consider when comparing a roof repair vs. replacement are the age of the roof, extent of damage and aesthetics of the current roof. 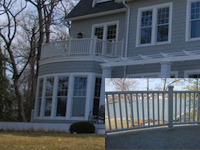 Fichtner Services is an Annapolis & Severna Park based roofing contractor, covering all of Central Maryland. 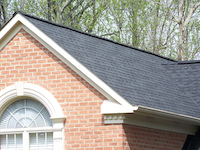 We offer new roof installation, roof replacement and roof repair services to homeowners and builders throughout Maryland, including Annapolis, Anne Arundel, Baltimore, Harford, Bel Air, Howard, Carroll, Towson, Columbia, Ellicott City, Prince George’s, Bowie, Montgomery, Rockville, Queen Anne’s and most of the Eastern Shore, Southern Maryland, and other surrounding areas.